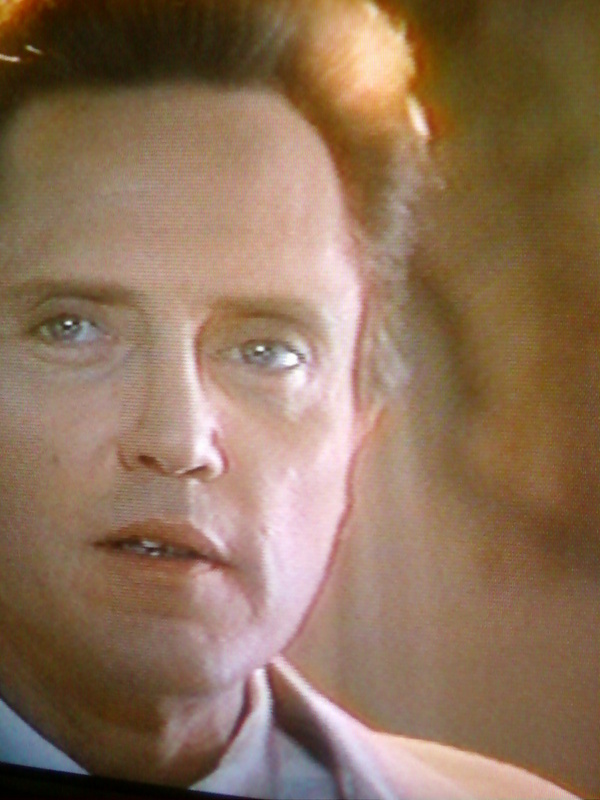 Walken in Short: Once again, Walken is the best part of the film. He plays Pasco Meisner, a Chilean crime-lord who will stop at nothing to win. He is a kind of Bond-villain in this. He channels Tony Montana. Movie in a Sentence: Allegiances are both made and broken in this epic tale of a Jewish crime-family in Florida, as the old makes way for the young, the strong dominate the weak, and the cast-out get their revenge. Roger Hanin plays the part of ‘Raymond Battoun’, the aging patriarch, just released from prison. Richard Berry plays ‘Maurice’, Raymond’s son. He wants to believe that he’s a businessman, and not a criminal like his father, but he’s not fooling anyone. Jennifer Beals has a small but pleasant role as ‘Joyce’, Maurice’s girlfriend. She does a great job with the precious little that she is given to do. 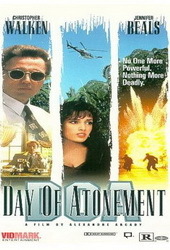 Beals acts with Walken again in 1998 for THE PROPHECY II. Jill Clayburgh is a woman named ‘Sally‘. Sally owns a hotel that Maurice wants badly, and Sally refuses to be bullied. Raymond is attracted to Sally though, and so things get messy. Alexandre Aja is actually the director’s son. He plays the part of ‘Alexandre’, the teenaged grandson who knows nothing of crime and remains surprisingly aloof about everything. Aja actually grew up to become a horror-film director, most notably he’s helmed HIGH TENSION (which I really liked) and THE HILLS HAVE EYES reboot. Gérard Darmon plays a man known as ‘The Indian’. He was known to be the best drug smuggler in the business before he retired. He doesn’t get a lot of screen-time, but he is actually one of the best things about this film. Just a cool dude. MPAA Rating: ‘R’ – swears and violence, the yoosh. Available to Own: This is only on VHS! There are French copies on DVD, but they are stupid-expensive and Region Coded. Dubbing: Here’s the thing. Even though everyone is speaking English in this film, the whole thing is dubbed over, which weakens every scene and gives everyone rubbery lips that don’t always match up to what they’re saying. It’s a real disconnect from the story. Fortunately, Walken’s voice comes through fine, it’s mostly everyone else that gets screwed by it. Walken Content: I’ll say 15%. He has a handful of scenes, and he’s great in all of them. This is one of those roles where it’s almost worth watching the film JUST for Walken’s performance. Almost. More About Pasco Meisner: Pasco Meisner is a man who talks about himself in the third-person. That means that that last sentence could have been something Pasco Meisner would have actually said. Pasco has cages full of attack-dogs that he has to wear a metal glove to feed, and he also keeps sedate greyhounds that he can walk with for extremely and comically short distances. Pasco is a raging anti-semite. Also, Pasco’s father was a Nazi war-criminal that had escaped to Chile. At one time, in a celebratory mood, Pasco says the word “shampahn-ye” just like Walken says it as ‘The Continental’ in SNL. Pasco has mean-looking henchman named ‘El Verdugo‘, which I think means ‘The Executioner’ in Spanish. Should You Watch This? Watch it for the Walken, by all means. His character is wonderfully entertaining. 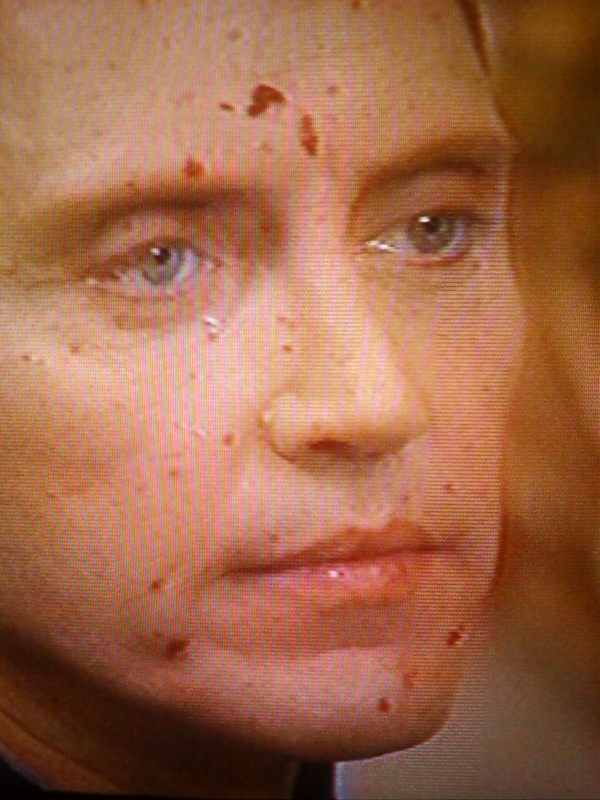 Walken has been a crime-boss many times in films, and this is certainly one that you should see. But just keep in mind that the film around him is a jumble of mis-handled cinematic influences. This is an attempt to make a GODFATHER-type film (with elements of SCARFACE), but unfortunately neither the writing nor the directing are up to snuff. Arcady is just not able to gather all of the many plots and character-arcs and weave it into something cohesive. This entry was posted on May 19, 2014 by Something Something (todd) and tagged Christopher Walken, crime-boss, Jennifer Beals, Pasco Meisner, The Godfather, The Prophecy 2, vhs only, Walken Film Review.